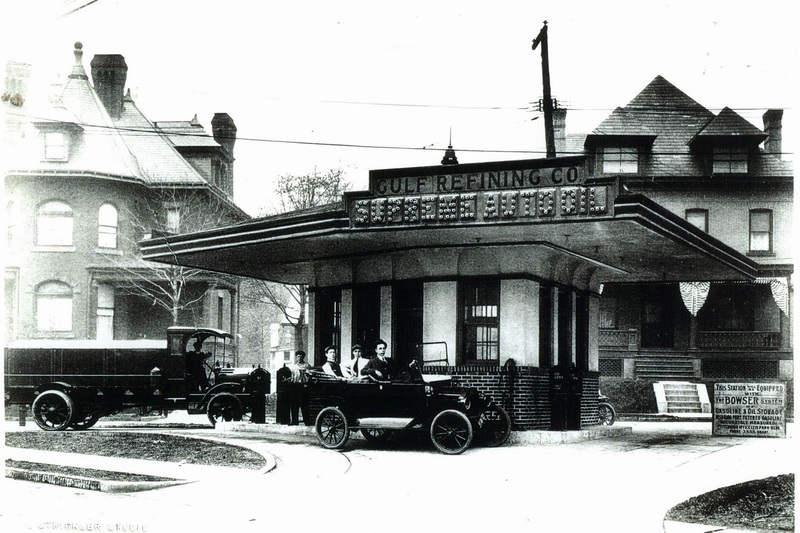 At St. Clair and Baum Boulevard in East Liberty was another integral piece of automotive and Baum Boulevard history, one of the first first service stations. 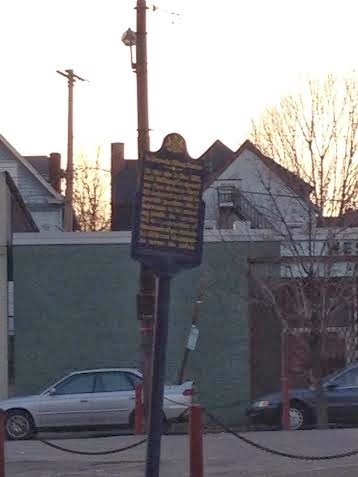 You would never know it today if it were not for this historical marker labeling the site of a simple parking lot. Gulf Oil used to be a Pittsburgh institution, even having a skyscraper downtown and a large set of research labs that are now part of the University of Pittsburgh. A similar set of research labs that were used for the former Bethlehem Steel were similarly re purposed by Lehigh University's Mountaintop Campus on the other side of the state. Gulf used to be a major corporate player in Pittsburgh and they opened up the first filling station in East Liberty. Here is a Post-Gazette article on this service station.